— Another take on HOMAGE's annual Halloween Sale. In order to convey the sale and the tee giveaway we created an environment where one of our warehouse staff is being attacked by a monster. 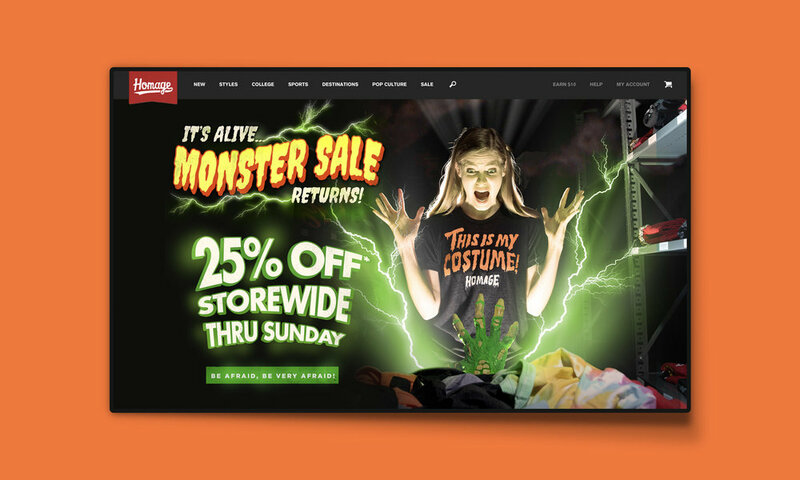 A threatening chill has crept across HOMAGE and brought a storewide sale so terrifyingly inviting that crypt-keepers have fled their posts, mad scientists have abandoned their creations, and ghouls, ghosts, and goblins have found a new favorite haunt.